While the number one topic of conversation in Vancouver and the Lower Mainland varies between the weather and real estate, or more specifically rising housing costs and property values, it sometimes takes a gentle reminder to make us realize we live in paradise. Nestled on the edge of the ocean and surrounded by mountains the scenery is stunning, it's never too hot or too cold, there's no humidity, no bugs or poisonous creatures, and we have plenty of fresh water. Our only real problem is the rest of the world has now discovered us and the city has become too popular for its own good. 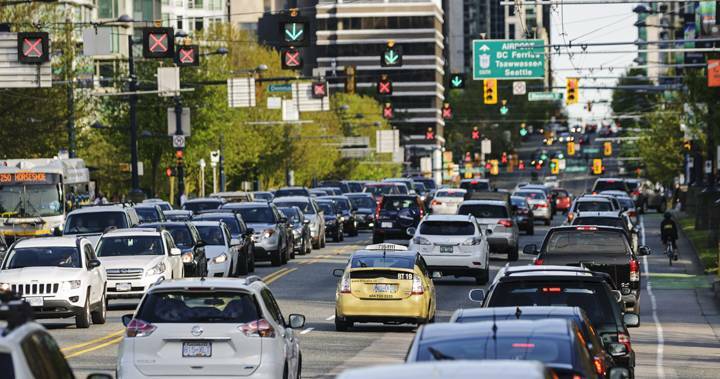 Transit expansion is proceeding at a snail's pace while meanwhile the roads and bridges are completely grid-locked from dawn to dusk. Unaffordable, high density buildings are replacing single family homes and nobody can afford to buy anything suitable for raising a family. 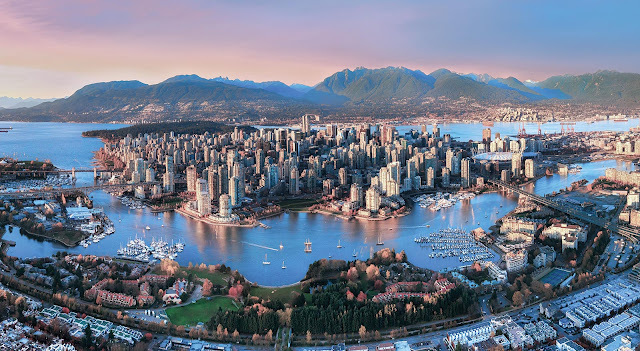 Weekend getaways are almost impossible with massive ferry and border line-ups, the parks, beaches, and bike paths are over-crowded, as are the recreation facilities and other local attractions, and everything else has been booked up long in advance. 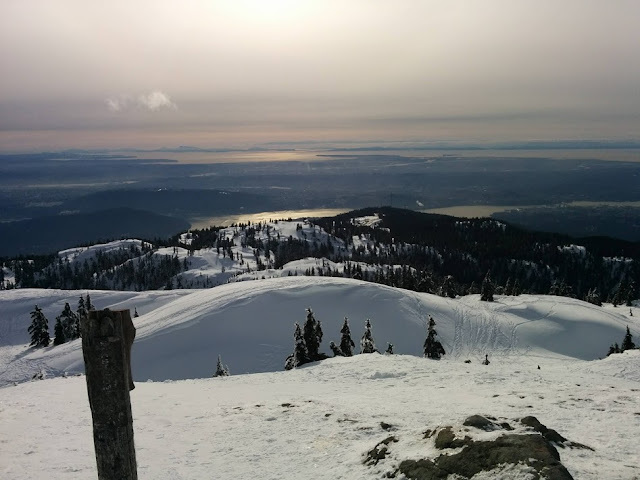 The only solution is to get off the regular weekday routine and take some time off during the week to head for the hills. 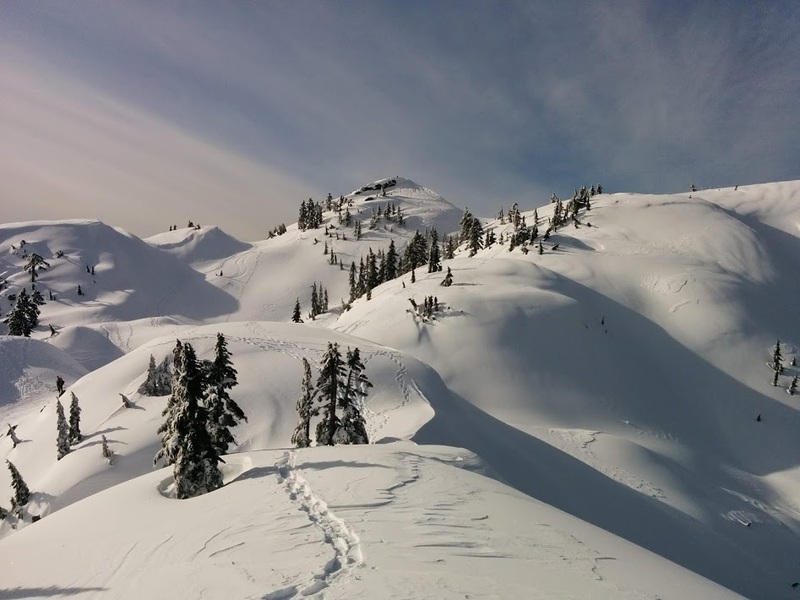 They're open year round and, while everyone is grinding it out in the workplace, the mountains are practically empty. 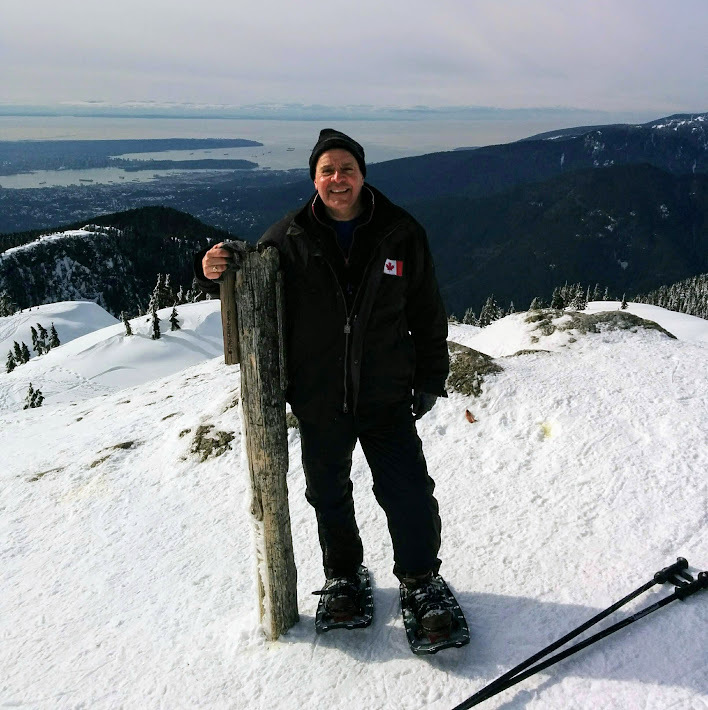 All you need is a good pair of boots and some waterproof clothing to go hiking or snowshoeing and best of all, it's free. As much as I love to take advantage of living next to the ocean and going for my daily swim I have to admit that I'm also increasingly falling in love with the hundreds of miles of trails that exist within our local mountains. Within minutes anyone can be at the nearest trail head and enjoying the beauty and serenity of the forest not to mention getting some healthy exercise in the process. 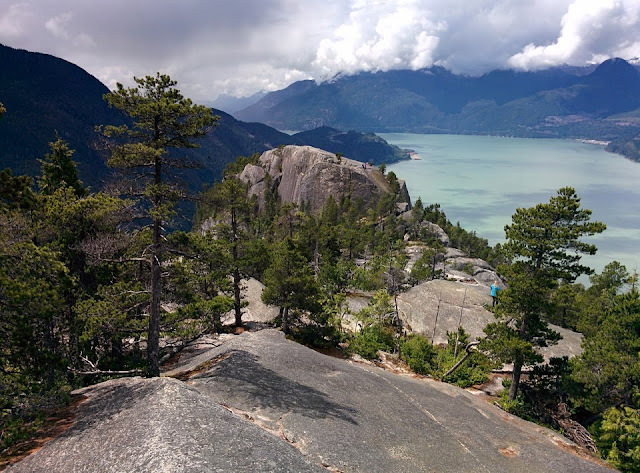 And the views of course are amazing, a coastal mountain high. For starters, according to the Marine Mammal Research Consortium, 80% of the Stellar sea lion population has disappeared since 1980 leaving only 50,000 individuals in the wild and causing the U.S. government to declare them an endangered species in the waters of Alaska. While there are a number of theories as to what has caused such a sharp decline the most widely accepted explanation is nutritional stress. The diet of Stellar sea lions was historically made up of 60% herring, which has a very high fat content, some salmon and 30% from the gadidae family of fish which includes cod, hake, and pollock. 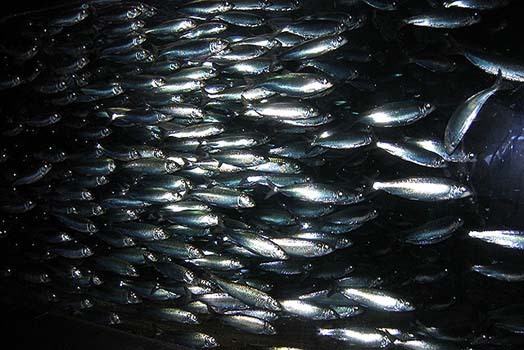 With the decline of herring due to over-fishing, herring now make up less than 20% of their diet with the balance made up mostly from the gadidae fish family. 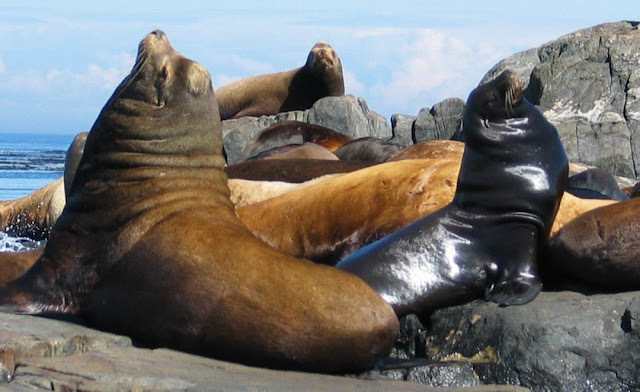 The gadidae fish have less than 10% of the oil content of herring and this low-fat low-calorie diet has resulted in malnutrition, juvenile mortality, and failed pregnancies in the sea lion population. The amount of salmon in their diet hasn't changed. The other sea lion species common to the B.C. coastline is the slightly smaller California sea lion of which there are an estimated 350,000 individuals. 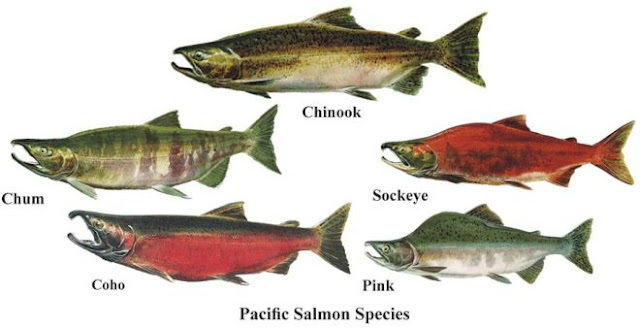 They range from southeast Alaska to central Mexico and, while not considered endangered, it is still a protected species though permits in the U.S. have been granted to kill them when they get too close to certain salmon spawning areas in the Columbia River. The primary fish in their diet however is North Pacific hake/whiting, which they follow up and down the coastline, though they also eat other fish species and squid. The California sea lions in turn make up one of the most common food items for the transient killer whales and great white sharks. 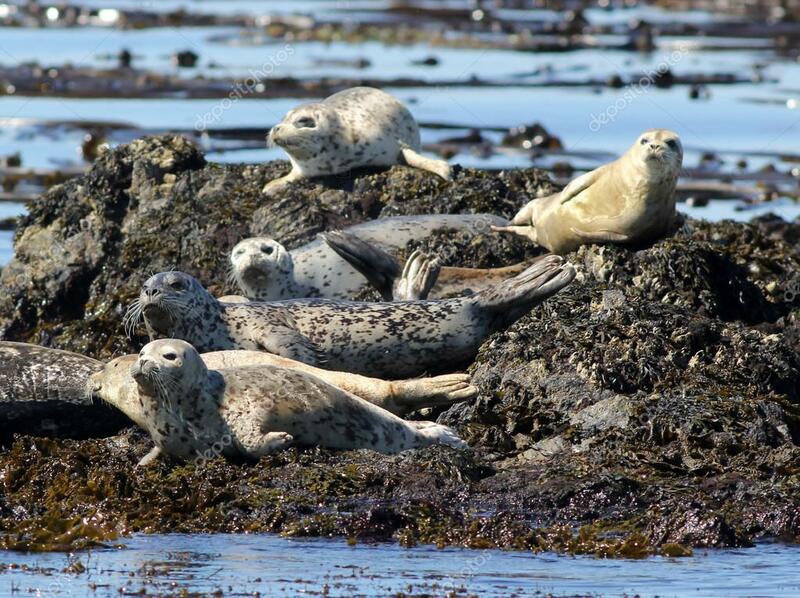 Harbour seals are the most common pinniped in B.C. 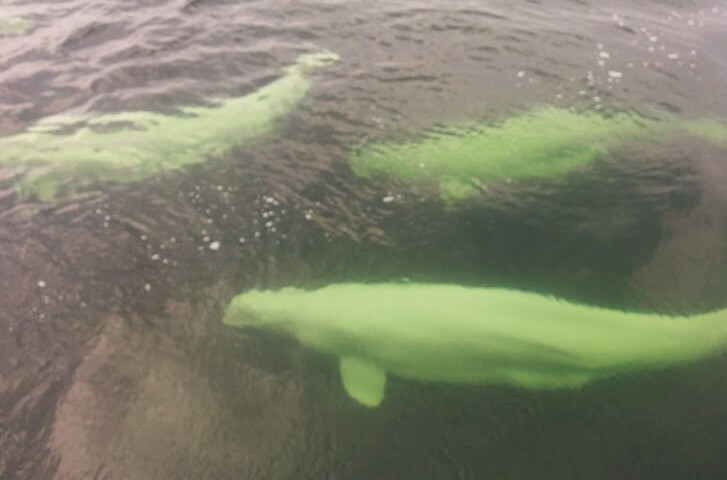 waters and they can live up to 20-30 years and weigh up to 300 lbs. Not surprisingly their diet is made up mostly of fish with herring being the main ingredient from December to March and North Pacific hake/whiting the rest of the year. Only 4% of their diet is salmon. Transient killer whales are their main predators. Each year in late spring millions of juvenile Pacific salmon leave the fresh water as smolts to enter the ocean and being the process becoming adult salmon which can take 1 - 5 years depending on what species they are. 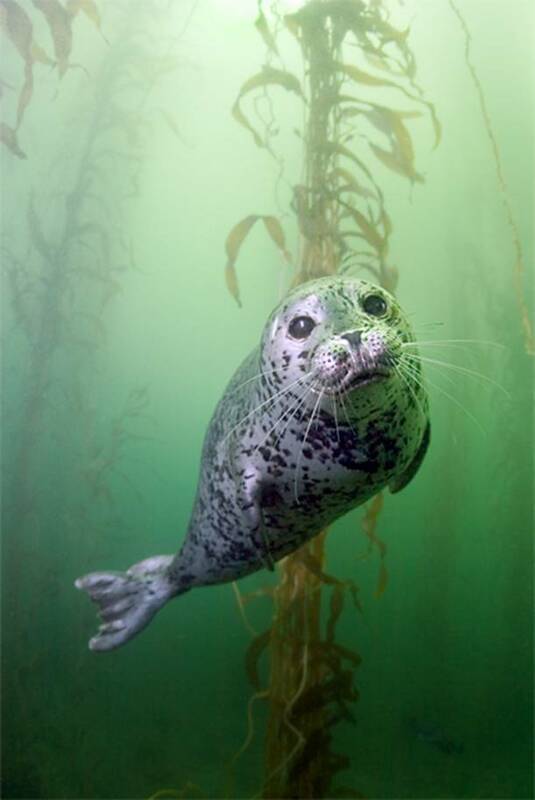 It is at this time in their life cycle they are most vulnerable to a wide range of predators including seals and North Pacific hake/whiting. The North Pacific hake/whiting grows up to 3 feet in length, lives up to 20 years and its diet includes plankton, shrimp, herring, and juvenile salmon. The species supports an important commercial fishery and its population is considered to be very healthy. It's obviously critical to the sea lion and seal populations who follow the fish as it makes its way up north in late spring/summer. 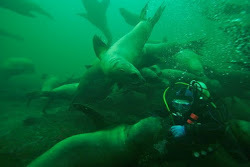 Then while it returns via an offshore route to Mexico and California to spawn, the sea lions and seals turn their attention to the migrating herring. However, since the 1960's collapse of the herring fishery the recovery has been very slow. 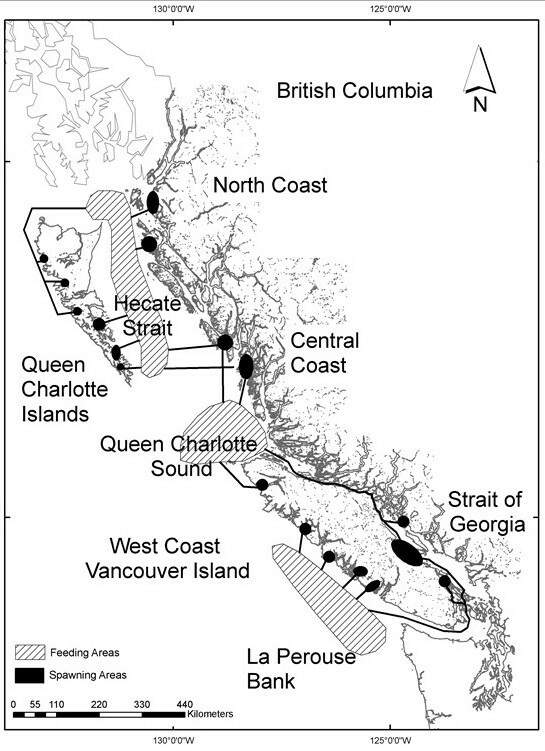 The importance of the Pacific herring cannot be overstated. 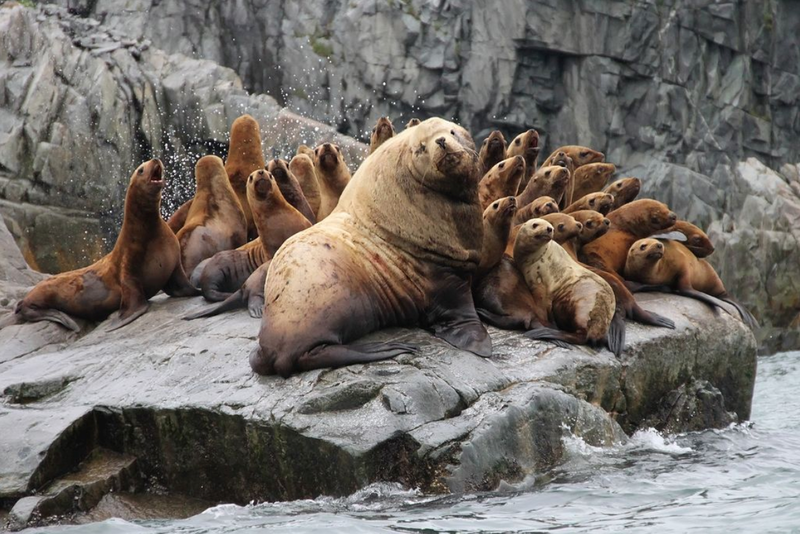 Without the herring the Stellar sea lions are dying of malnutrition as are the chinook salmon who depend on it for over 60% of their diet and the southern resident killer whales who, in turn, depend on chinook salmon for 80% of their diet. Without herring other fish and mammals have to find alternative things to eat though they don't all have the same adaptability. 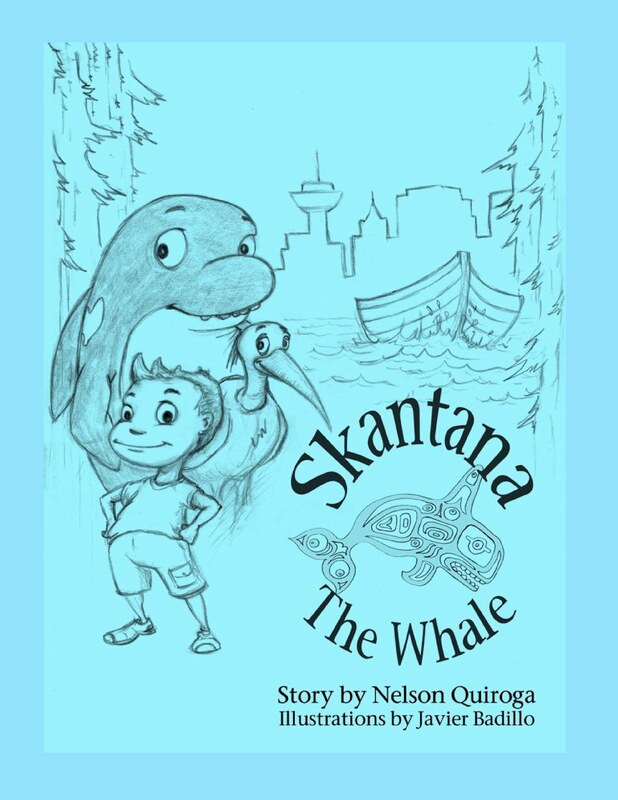 The Pacific hake/whitefish have no problem eating juvenile salmon but the resident killer whales can't seem to make the switch to other salmon species. Seals and sea lions will eat whatever is available and they seem to be doing quite fine but killing seals and sea lions who eat Pacific hake/whitefish will only aggravate the problem for the salmon and reduce the amount of prey available to the transient killer whales. 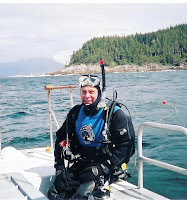 The obvious solution to this mess is to ban any fishing of herring or Chinook salmon. Trying to solve the problem by selective killing will only create more imbalances. In the meantime a group of scientists from Russia, Canada, the United States, Japan, and South Korea have set out on a test fishery in the Gulf of Alaska to try and figure out the secret lives of the 5 Pacific salmon species. 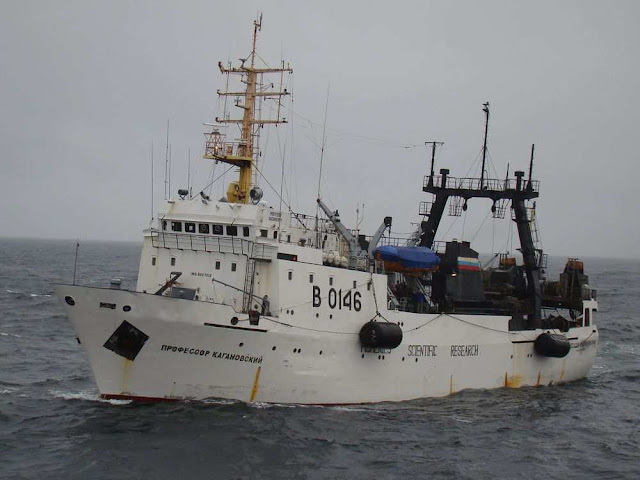 Sailing on board the Russian ship Kaganovsky they will be analyzing catches of salmon and other species from Haida Gwaii to Alaska to try and gain a better understanding of what goes on when these fish leave coastal waters. 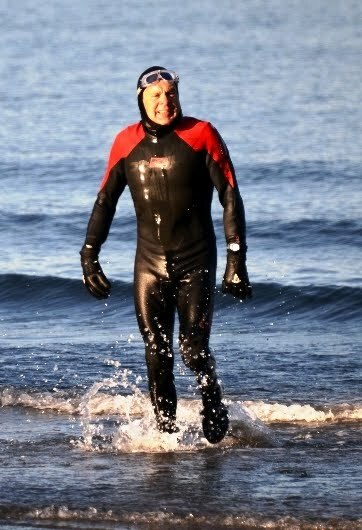 It's the Year of the Salmon and the heat is on to try and get some answers. 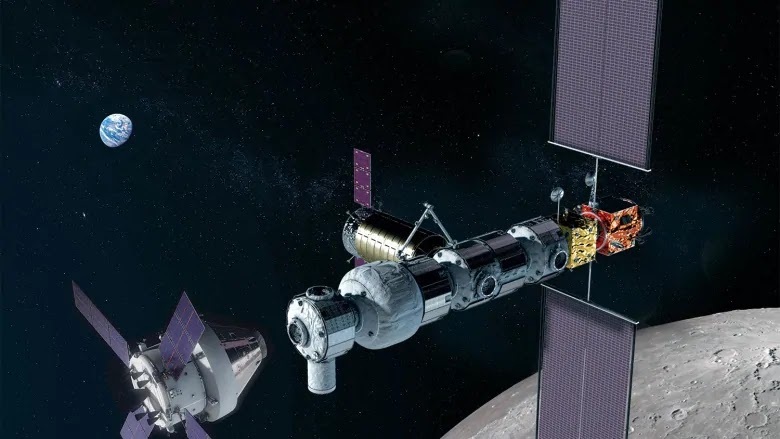 In the midst of all our Earthly problems the government made the long hoped for announcement that it was going to be a partner in the Lunar Gateway project, a NASA space station orbiting the Moon. 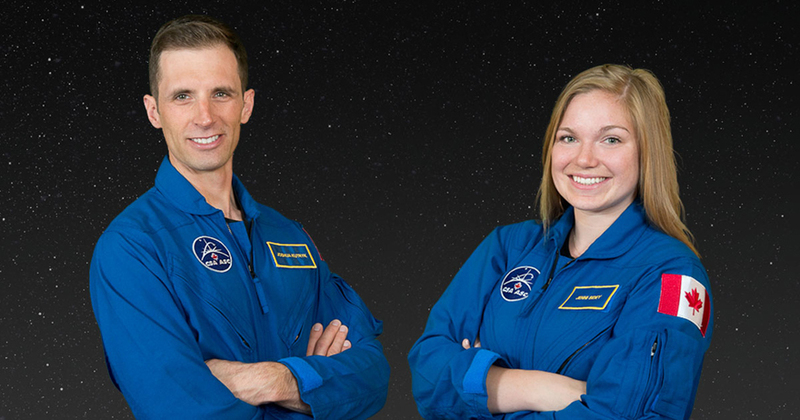 We were the first international partner to confirm participation in the program and it will give us the opportunity to not only expand our leadership in space based robotics but also see a Canadian astronaut on the Moon and possibly even Mars. The Canadian space program has an impressive track record of landmark achievements and and this was a very welcome development that will allow us to keep building on our success. The first time Canada participated in a NASA project was September 29, 1962 when the Canadian built satellite named Alouette was launched into orbit around the Earth. 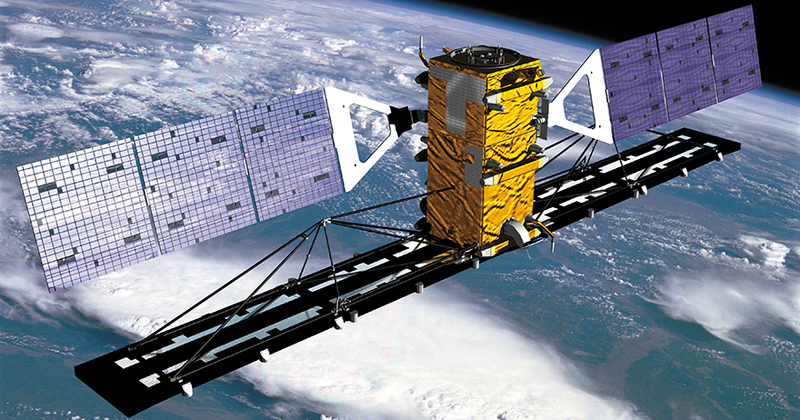 Canada became the 3rd nation, after the U.S. and Russia to design and construct its own satellite. Its mission was to study the ionosphere from above using over 700 radio frequencies and it kept doing this for 10 years. The satellite is still in orbit and will remain so for 1,000 years. 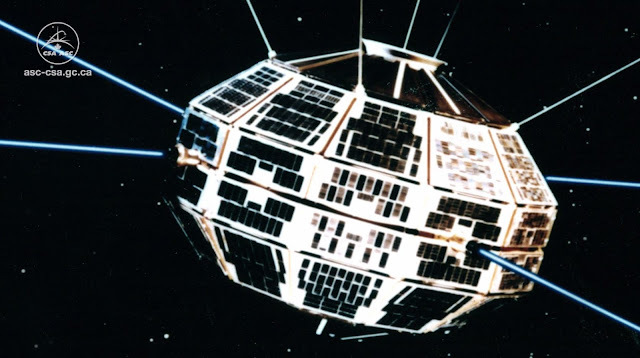 On November 9, 1972 Canada launched the Anik satellites, the world's first national domestic satellites. These geostationary satellites gave Telesat Canada the ability to deliver television to the Canadian North for the first time. 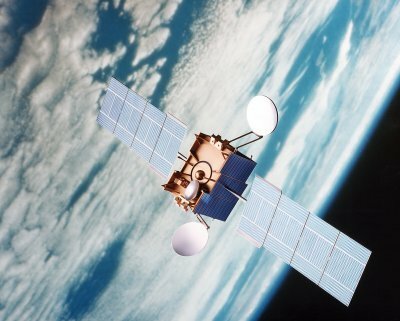 Subsequent Anik satellites would deliver radio, satellite TV, broadband Internet and pay TV services. On November 13, 1981 the Canadarm was launched aboard the Space Shuttle Columbia and made its space test debut while orbiting the Earth. 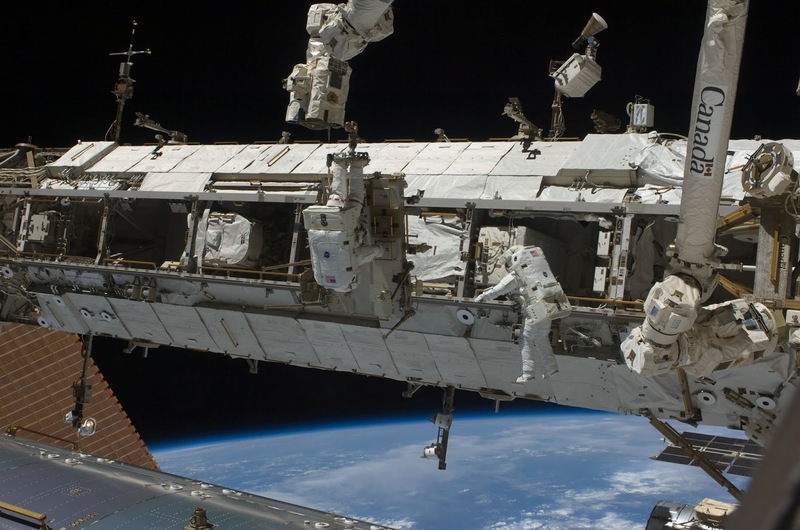 Starting from a Canadian designed robot that could load fuel into CANDU nuclear reactors, a robotic arm that could deploy and retrieve space hardware from the payload bay of the space shuttle was eventually developed. Like a human arm with rotating joints at the shoulder, elbow, and wrist but made from titanium, stainless steel and graphite, it's 15 metres in length, weighs less than 500 kilos but can lift up to 30,000 kilos. After 90 space shuttle flights, and many successful applications over a period of 30 years it was finally retired. Back row, from left to right: Ken Money, Marc Garneau, Steve MacLean and Bjarni Tryggvason. Front row: Robert Thirsk and Roberta Bondar. 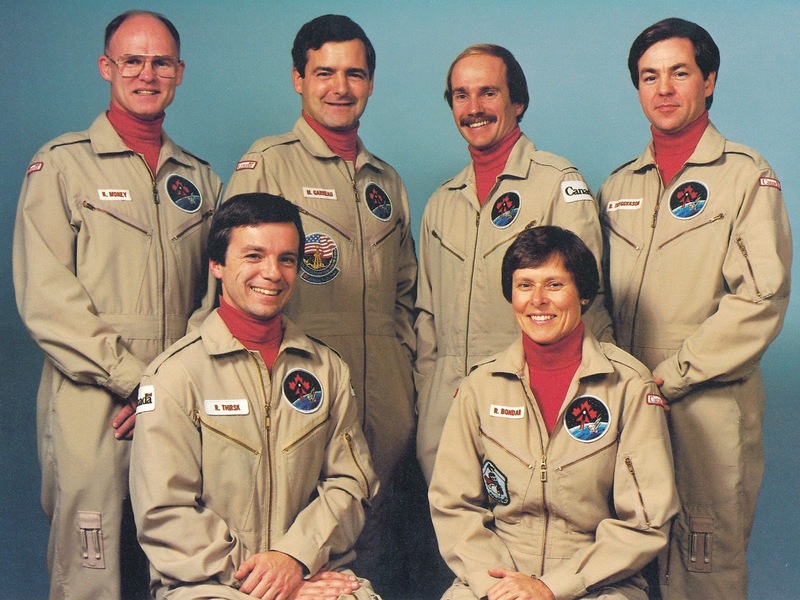 On December 5, 1983 the first 6 Canadian astronauts were selected; Ken Money, Robert Thirsk, Mark Garneau, Steve MacLean, Roberta Bondar, and Bjarni Tryggvasson and, on October 4, 1984 Mark Garneau became the first Canadian in space on board the Challenger. On January 19, 1990 after a hiatus following the space shuttle Challenger disaster in 1986, Roberta Bondar became the 1st Canadian woman in space on the space shuttle Discovery and, on October 22, 1992 Steve MacLean became the 3rd Canadian in space on board the Columbia. 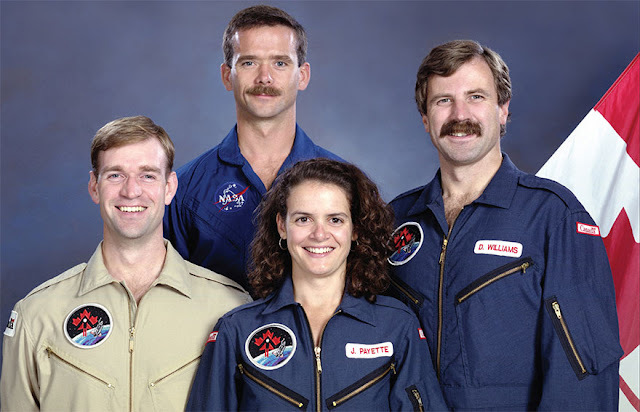 On June 8, 1992 four more Canadian astronauts are selected to join the team, Mike Mckay, Dave Williams, Julie Payette, and Chris Hadfield. On November 12, 1995 Chris Hadfield became the 4th Canadian in space on the shuttle Atlantis and also the first Canadian to operate the Canadarm (linking Atlantis to the Russian space station MIR) and the first Canadian to visit the Russian space station. 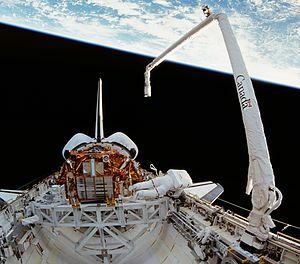 On May 19, 1996 Marc Garneau became the first Canadian to fly twice into space, this time on the shuttle Endeavour where he also operated the Canadarm. 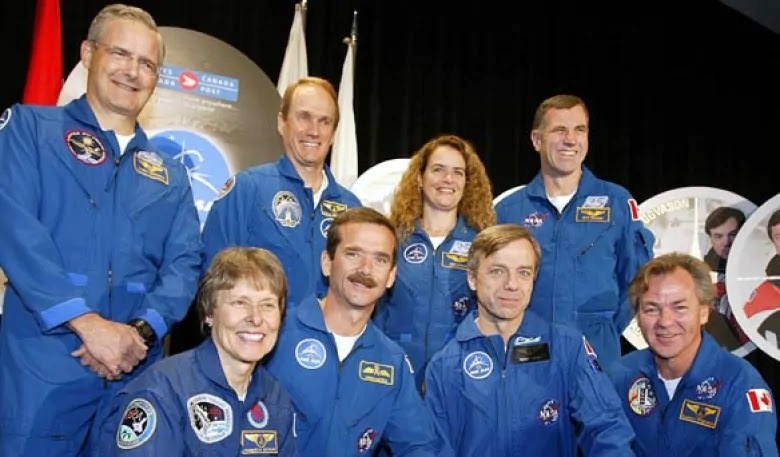 On July 20, 1996 Robert Thirsk became the 5th Canadian in space on the shuttle Columbia spending 17 days in space, the longest of any Canadian. On August 7, 1997 Bjarni Tryggvasson became the 6th Canadian in space on shuttle Discovery where he tests an anti-vibration system he invented and is now in use on the MIR space station. On April 17, 1998 Dave Williams became the 7th Canadian in space on the shuttle Columbia. On May 27, 1999 aboard shuttle Discovery, Julie Payette becomes the 8th Canadian in space and part of the first crew to dock the shuttle and deliver equipment to the new International Space Station becoming the first Canadian to visit the International Space Station, and the 3rd Canadian to operate the Canadarm. On November 30, 2000 Mark Garneau made his 3rd visit to space with a crew on the Endeavour to install the solar panels on the International Space Station. Canada's eight astronauts, posing for a photo at the John H. Chapman Space Centre in St. Hubert, Que., in 2003: Back row, left to right, Marc Garneau, Steve MacLean, Julie Payette, Dave Williams; front row, left to right, Roberta Bondar, Chris Hadfield, Robert Thirsk and Bjarni Tryggvason. 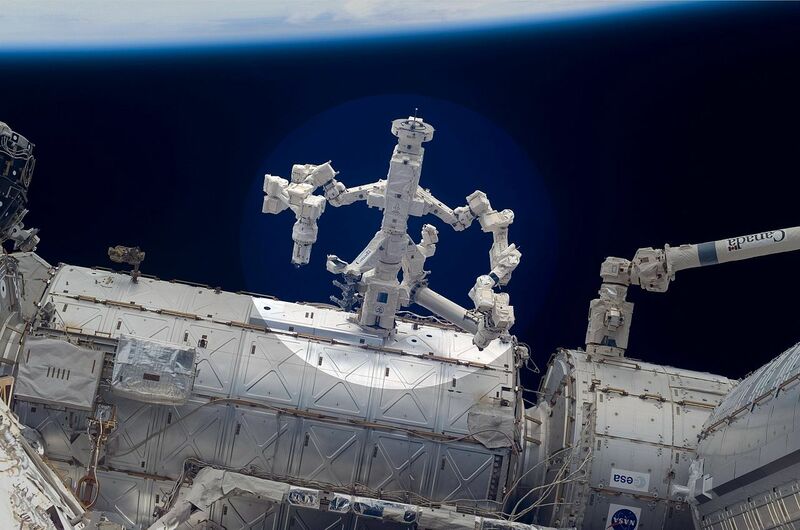 Following the success of the original Canadarm the next generation Canadarm2, or Space Station Remote Manipulator System as it's officially known, was developed as a permanent attachment for the new International Space Station. At 18 metres in length and weighing 1,800 kilos it is capable of handling payloads up to 116,000 kilos and is able to assist with docking the space shuttle itself. On April 19, 2001 Chris Hadfield was part of the crew on the shuttle Endeavour who delivered and installed Canadarm2 on the International Space Station and became the first Canadian to do a spacewalk. On June 5, 2002 Canada's second contribution to the International Space Station the Mobile Base System is delivered by the shuttle Endeavor. A base platform for robotic arms to connect via 4 different power data grapple fixtures, it rests on top of the Mobile transporter rail car. 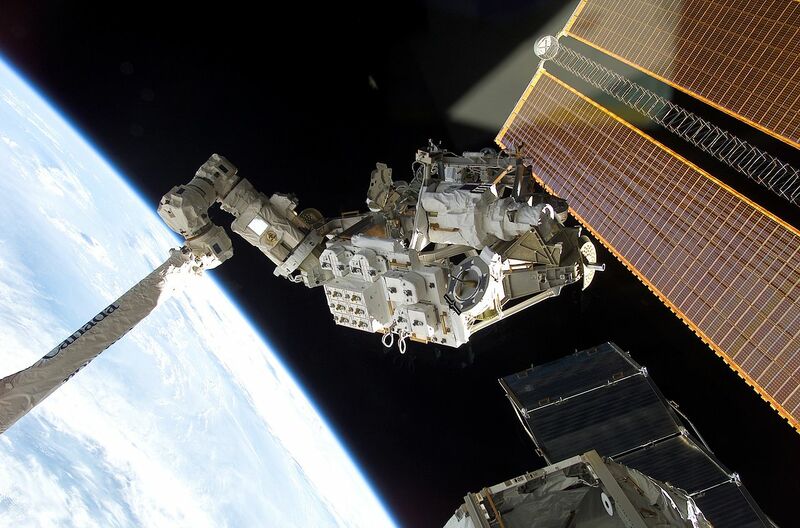 The Mobile Base can glide along the main truss of the International Space Station and access any of 8 work-sites that feature power connections for the Base and its attachments. On September 9, 2006 Steve MacLean makes his 2nd space flight and visits the Space Station for the first time on board the shuttle Atlantis to resume assembly of the Space Station following the space shuttle Columbia disaster in 2003. 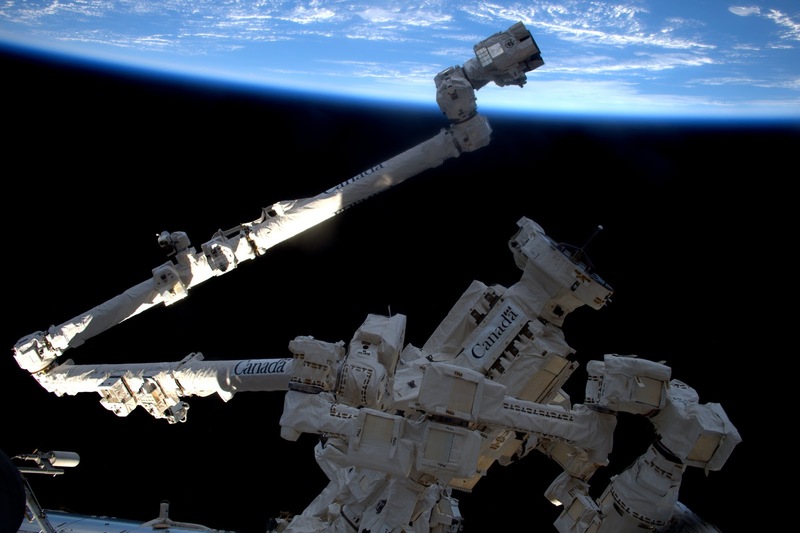 He is the first Canadian to operate the Canadarm2 and Mobile Base System and the 2nd to do a spacewalk. On March 11, 2008 "Dextre" the Special Purpose Dexterous Manipulator, a smaller two-armed robot that can attach to Canadarm2 or the Mobile Base System was installed. Designed to handle delicate assembly tasks with smaller arms and power tools this was another Canadian contribution to the Space Station demonstrating our expertise with space robotics. On May 7, 2009 Robert Thirsk launched from Kazakhstan aboard the Russian Soyuz spacecraft and arrived at the International Space Station where he would stay for a record breaking 6 months as part of the first permanent Space Station residents. Then on July 17, 2009 Julie Payette arrived at the Space Station on board the shuttle Endeavour and was welcomed aboard by Robert Thirsk making another first for Canadians as they met in space. With the retirement of the American space shuttle program in 2011 Chris Hadfield on December 19, 2012 returned to space for the 3rd time via a Russian Soyuz spacecraft and became the first Canadian commander of the International Space Station where he stayed for 6 months. Meanwhile our original Radarsat-1 program launched on November 4, 1995 and updated with Radarsat-2 on December 14, 2007 was the first commercial Earth observation satellite in service and has been providing marine surveillance, ice monitoring, disaster management, resource management, environmental monitoring and mapping services for Canada and around the world ever since as part of the collaboration with the Canadian Space Agency and MacDonald, Dettwiler & Associates, the same folks who brought us the Canadarm technology. We've come a long way since Alouette and reaped many technological and monetary benefits as a result. 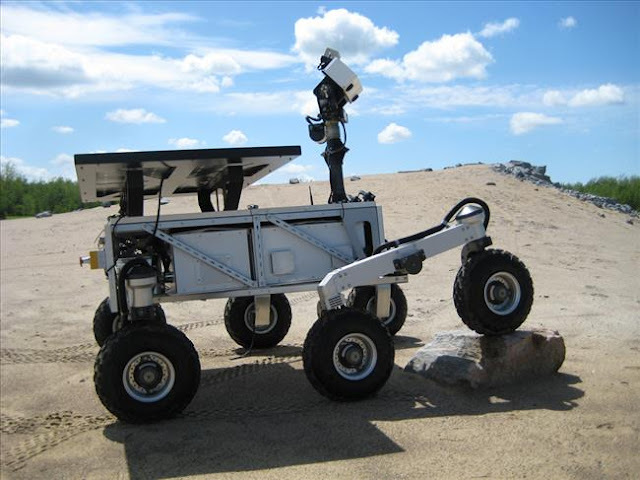 Even now we are experimenting with our own version of a Mars Rover and contributing to all sorts of scientific testing on NASA missions to Mars. Mars of course being the ultimate destination in the foreseeable future for Earthlings but, before Canadians get there, we look forward to seeing them walking on the Moon. 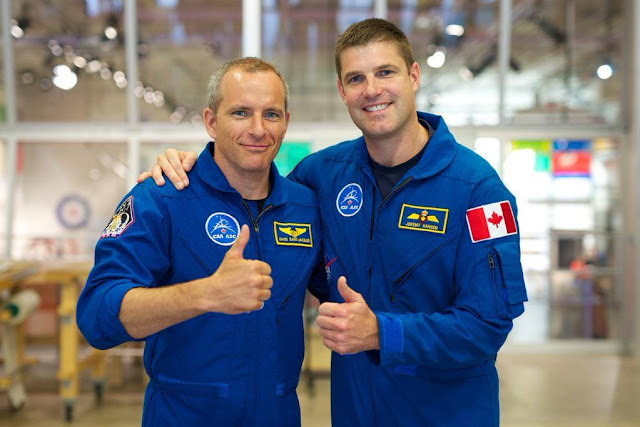 Which one of the four newest astronauts it will be has yet to be determined but, as of December 3, 2019, David Saint-Jacques has been up in the Space Station via a new Russian Soyuz launch, following the aborted Soyuz failure in October, for a 6 month tour, as Canada's 9th person to be in space. 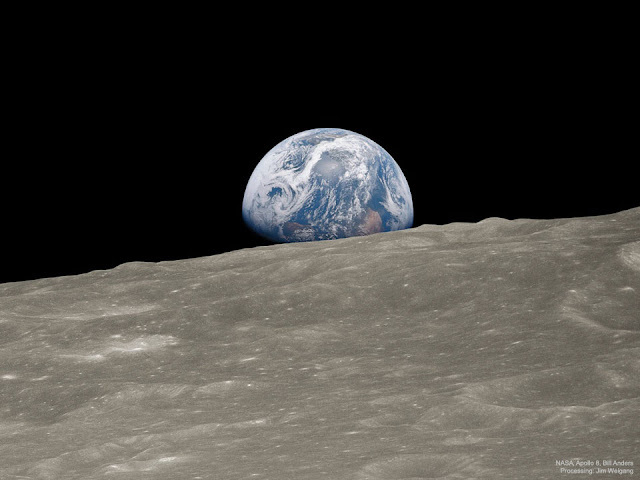 For thousands of years Earthlings have been staring up at the Moon but it was only 50 years ago on Xmas Eve 2018 that we got to look at ourselves from the Moon with the first colour picture of Earth taken by the Apollo 8 astronauts who were orbiting the Moon in a preparatory mission for the actual landing to follow on July 20th 1969. With the 50th anniversary of that Moon landing (mankind's highest ever signature achievement) a return to the Moon is now under way for 2019. Already the Chinese have landed on the "dark side" (the side we never see from earth because the moon orbit follows ours) with a new lunar lander and the U.S. is also planning to do the same later in the year after having just landed the InSight spacecraft on Mars. But it's human landings on the lunar surface and other places that really matter to the folks back home and the folks at NASA are looking at the Moon now with fresh eyes. The plan is to develop an infrastructure that will orbit the Moon and support landings on its surface along with missions to Mars and beyond. 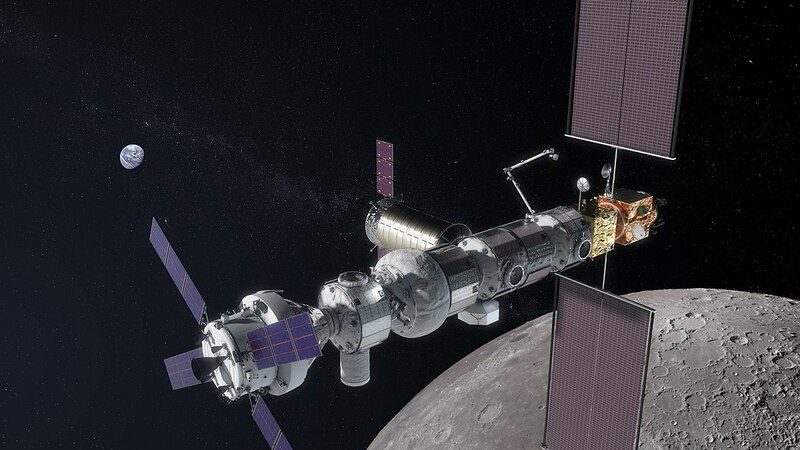 Called the Lunar Orbital Platform Gateway it will function much like the International Space Station does with astronauts coming and going from Earth along with deliveries of food and other essentials and taking back the fruits of any lunar mining activities. 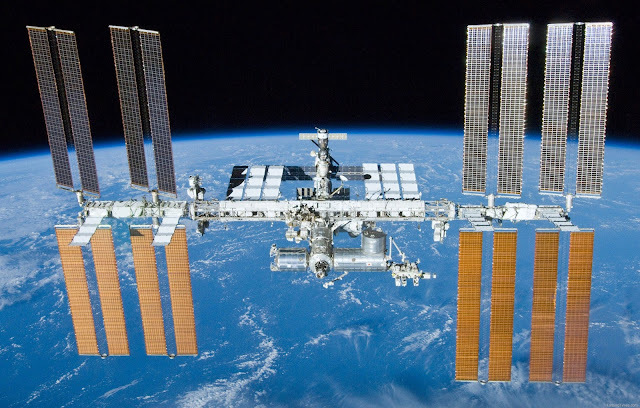 The International Space Station, which orbits Earth at an altitude of approximately 400 km was launched into orbit in 1998 and since 2000 has been inhabited by astronauts from Europe, Japan, Russia, the U.S. and Canada. 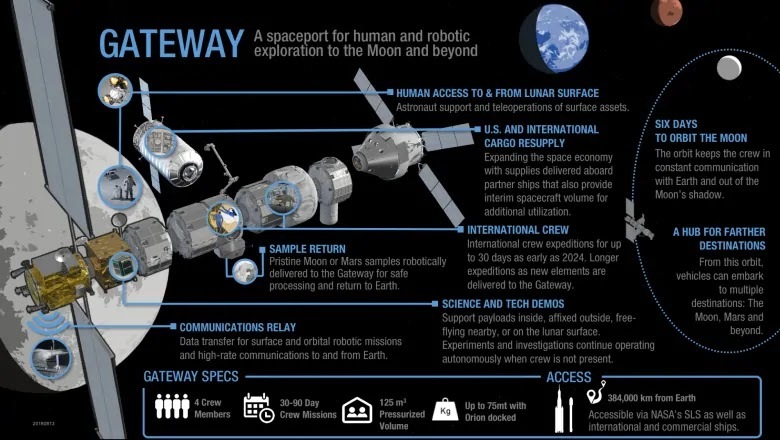 While on board they have conducted a wide variety of tests on everything from weightlessness to growing food not to mention practicing their docking skills, all of which will stand them in good stead when the Lunar Orbital Platform Gateway goes into operation. The only difference of course being that instead of being 400 km from Earth the Lunar Orbital Platform Gateway will be 384,000 km away. Mars, by comparison is between 50 and 400 million km away from Earth depending on where the two planets are on their respective orbits. Servicing these various space stations and orbital platforms is of course the most tricky part of the enterprise and where the private sector has come to play such a key role. By developing re-usable rocket technology, companies like Space X (owned by Elon Musk of Tesla fame) have dramatically cut the costs of rocket launches and become the new principal providers of supply services to the International Space Station. 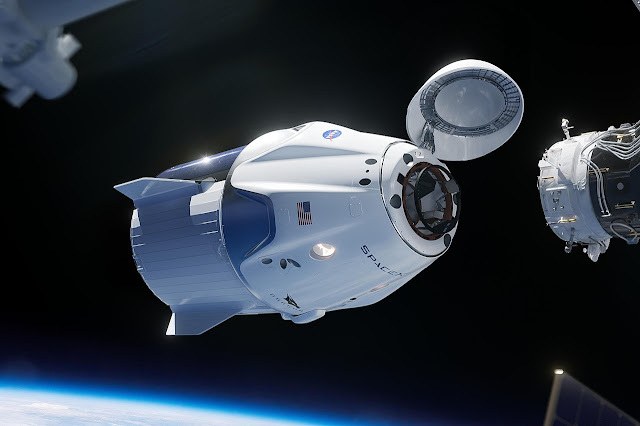 After being the first private company to deliver cargo to the International Space Station in 2012 Space X is scheduled to bring astronauts to the Space Station this June aboard the first crewed version of the Dragon spaceship. 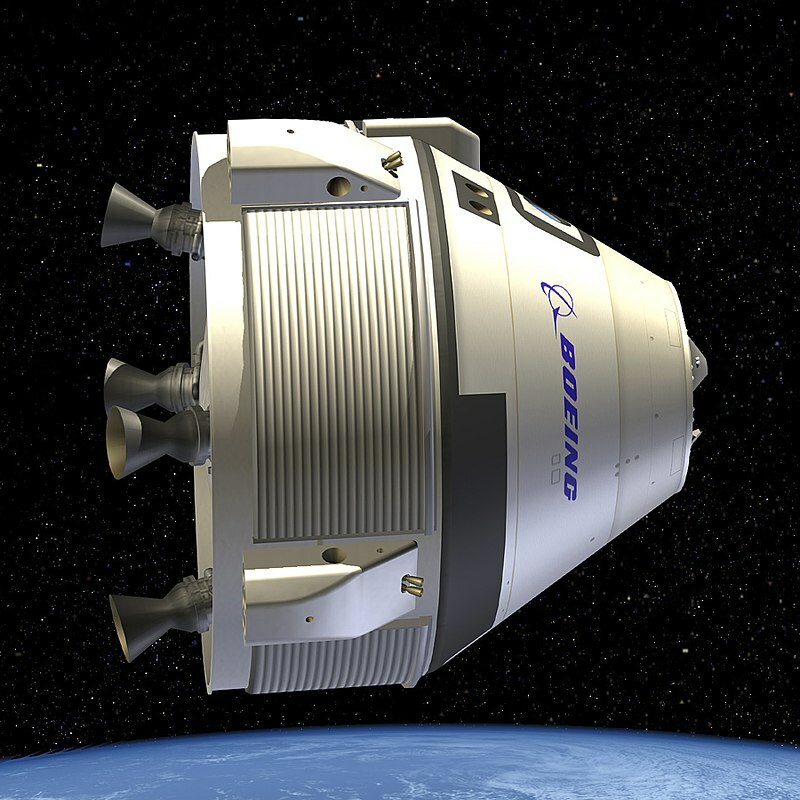 As another partner in NASA's Commercial Crew & Cargo Program, Boeing is also scheduled to follow suit later in August using its Starliner spacecraft. While flying through outer space at the wheel of a Tesla may not be the most practical method of space travel, the launch of Starman into interplanetary orbit last year was great publicity for the space tourism industry and highlights the partnership with NASA's Commercial Crew & Cargo Program which has the specific goal of "achieving safe, reliable, cost effective access to low-Earth orbit and create a market environment in which commercial space transportation services are available to Government and private sector customers." In other words space tourism is on with the blessing of the government. In addition to supplying the Dragon spaceship for the International Space Station, Space X plans to build a 100 passenger version called Starship to fly people to Mars. Already they have announced their first passenger, Japanese billionaire Yusaku Maezawa who will take passengers around the Moon in the Starship starting in the 2020's. Not to be outdone by Space X, Richard Branson's Virgin Galactic VSS Unity Spaceliner made its first successful flight into outer space which is defined as an altitude of 50 miles or 80 km above Earth. Tickets for a ride on the VSS Unity are now being sold for $250,000.00 each and already over 700 people have made their downpayment. While interest in the Moon, Mars and outer space has waned over the years it's clearly back in the forefront now that technology is starting to catch up with people's imaginations. With all the bad news on Earth a getaway into outer space seems like a very refreshing idea. A $250,000.00 space fare is peanuts compared to the $35 million Guy Laliberte, founder of Cirque du Soleil spent for a visit to the International Space Station in 2009 but hopefully it will come down a lot more so the average person can afford a space flight. After first landing there 50 years ago 2019 looks to be a landmark year for people wanting to think about flying themselves to the Moon. 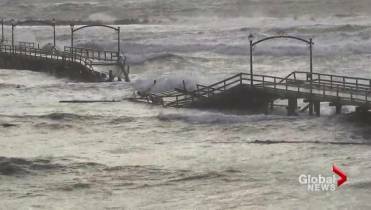 Just before Xmas a hurricane force wind storm hit the B.C. 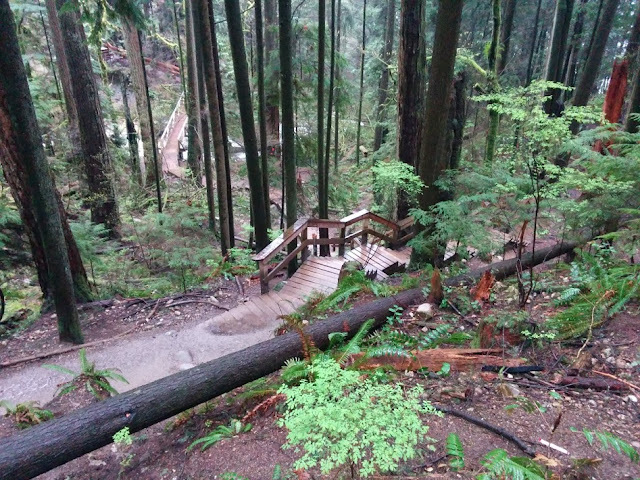 coastline leaving hundreds of thousands of people without electricity as fallen trees and branches took down power lines everywhere and marking it as the worst in B.C. Hydro history. 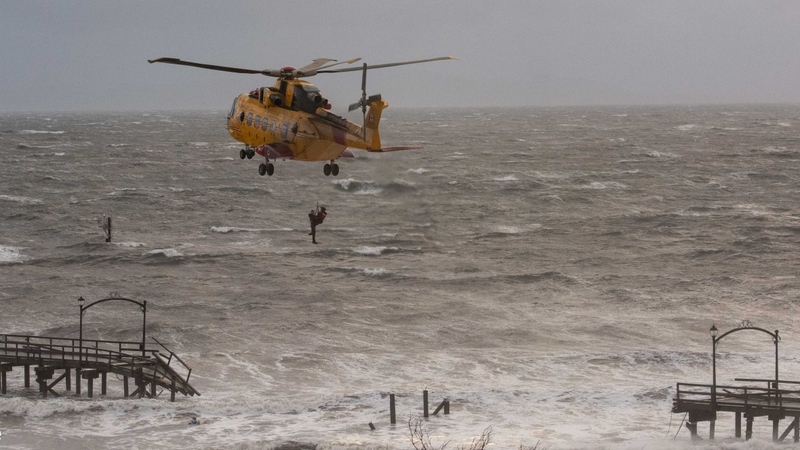 While there were plenty of unsettling photos amongst all the chaos perhaps the most dramatic images were of the pier in White Rock where waves smashed it apart, destroyed the sailboats moored there, and necessitated the rescue of a trapped individual by helicopter. Whether the cause of the storm was yet another manifestation of global warming, the high tides of a full moon in conjunction with the winter solstice, or the flapping of a butterfly's wings somewhere halfway around the world, it served to remind us yet again of the frailty of our existence and our powerlessness in the face of Nature. 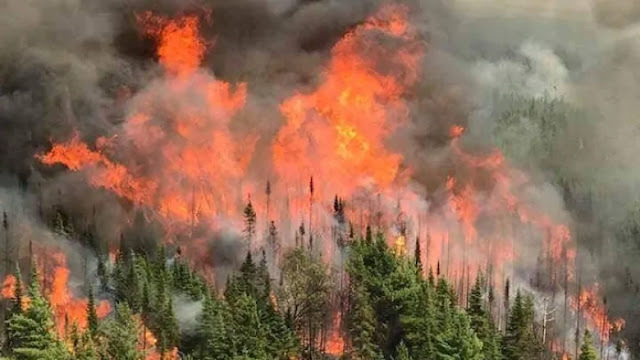 2018 was also the worst year on record in B.C. 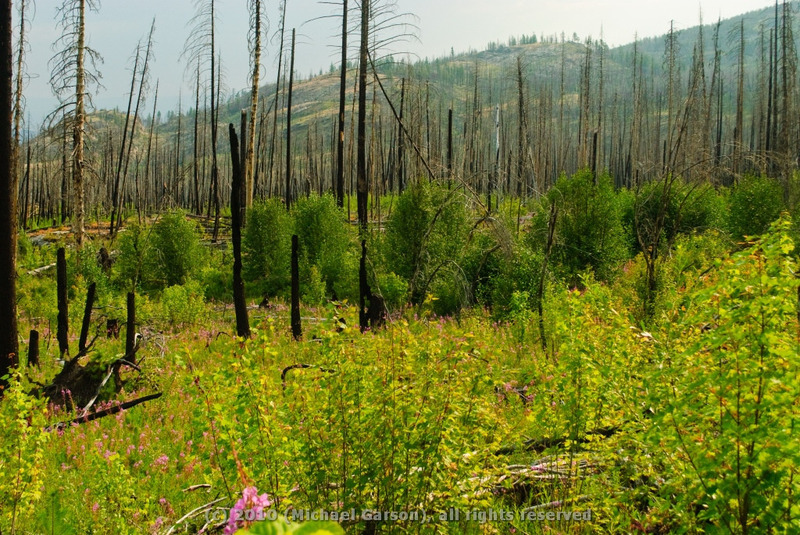 for the number of forest fires with over 13,000 sq. km. destroyed which beat the record set the previous year. But before the summer fires started there was also a winter of record rain and snow fall and a spring of record flooding. The extreme oscillations between dry and wet, heat and cold impacted every region of the Province and left an aftermath that threatens to be a never ending repeat performance. 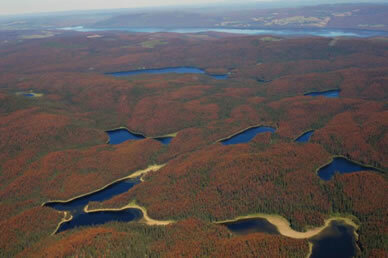 Heavy moisture in the winter turns into large snow packs that rapidly melt with warm weather, and the burned out forests have no vegetation or ground cover to soak up the water so flooding ensues which further damages the soil and leaves the forest even more dried out and prone to catch fire again. 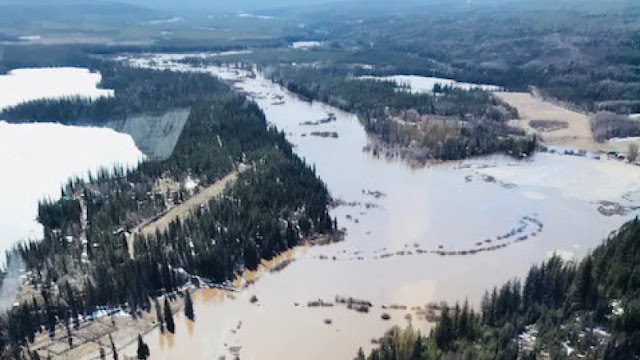 As massive as these floods and fires are, the root cause is something much smaller and that's the bark beetle of which there are more than 6,000 species, including the mountain pine and spruce beetles, which have recently been devastating our forests. These creatures have always been around, and indeed they play an important role in the natural management of a healthy forest but, owing to some misguided fire fighting practices in the past and warmer weather they have now become a nuisance of epidemic proportions. 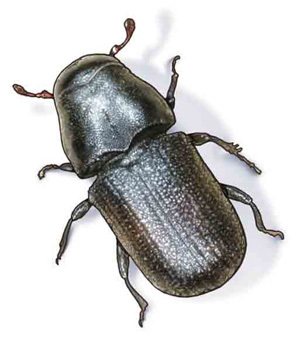 The only way to get rid of these beetles is by extreme cold or fire. With our warmer winters we haven't been getting the minus 30-40 degrees Fahrenheit needed to kill them and putting out forest fires in areas where they are active only allows them to survive and attack more forest. 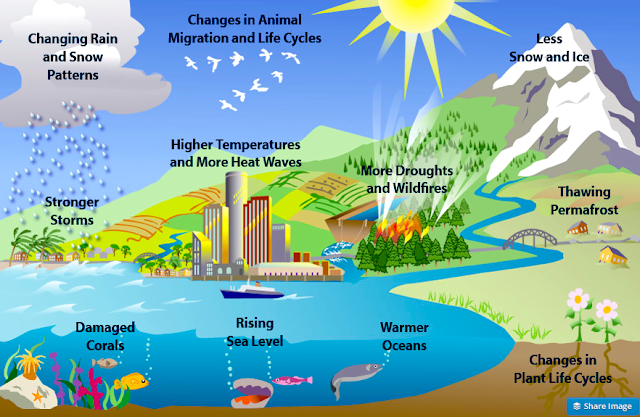 The combination of these factors has led to their exponential growth and they have now spread into other parts of the country including the Yukon and N.W.T. which are well beyond their historical range. It may take a few more years of nasty forest fires to wipe out the beetles but thankfully Nature has a way of quickly recovering, with the heat from the fires causing dormant pine cones to open up and release their seeds for germination, and various shrubs and grasses taking advantage of the open canopy to flourish which, in turn, provides a food source for all sorts of wildlife. As a result of climate change these hurricanes, floods, and fires seem to be happening everywhere around the world with greater frequency. Time will tell whether it's part of a natural cycle that will eventually sort itself out or a sign of serious change ahead and that all things must pass.